“This isn’t a theory. There are already points of disruption across the whole planet here and I’m just encouraging you to believe in it and to try to move our systems into the twenty-first century”. We know that globalization and technology are influencing and changing educational practices around the world and the values that underlie them. Education has been caught in the economic force of integrated markets, production and consumption. Yet education is also contributing to this force, for skills and knowledge delivered by schools, drive the global economy. 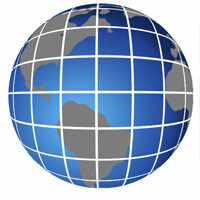 In turn, the global forces influence educational institutions. It appears that globalization has blurred the boundaries, not just of nation states but also the foundations of the value and aims of education, while systems and government policy slowly try to respond to the rapid socioeconomic changes. This calls for education to prepare students to adapt linguistically and culturally. It also insists on effective, relevant teaching and learning. So what should we teach and what is of societal value? What are the skills that children need? At the nexus of educational, socio-economic and environmental change is the hope for transnational values to address global concerns. We all face unequal global development and human rights issues, challenges of environmental sustainability, cross-cultural interaction and conflict. Dialogues on the search for transnational values highlight the problem of cultural interpretations of ‘value’. How can I lead educational change? “I’m just a teacher and this is the curriculum” and “This is the way I was taught and I know it works” is not going to cut it- sorry. Teachers are at the front-line, leading the way in twenty-first century learning. The responsibility lies with teachers to keep up with societal changes, educational developments and technological change. Building a professional learning network and being brave is a good starting point- making time to read and analyze research, discussing new ways of learning and reflecting. We need to think critically about what and how we teach. What skills are we developing? Above all we need to give students a voice in teaching and learning. In this way, we can be leaders of change ‘from the ground up’.